Earlier this year, we introduced a new grain storage technology to our Agriculture project’s farmers. 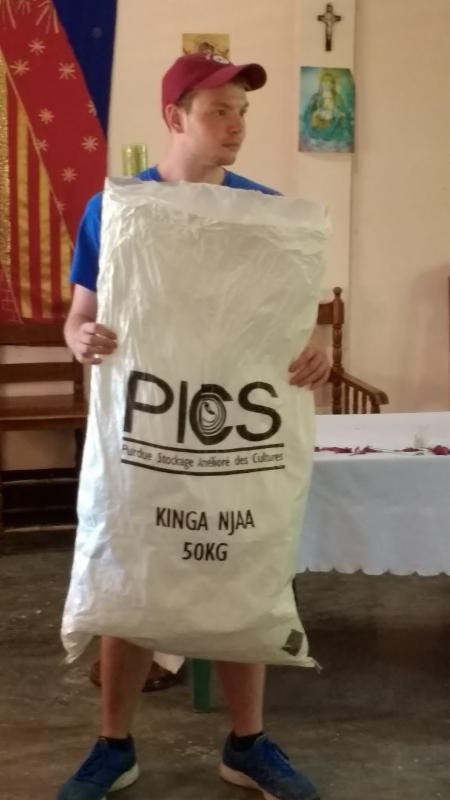 Thanks to great research and networking by Winnetka’s Michael Morette, we implemented a Pilot Program using PICS bags from Purdue University. PICS bags have been used across Africa for more than 15 years, with more than 5 million bags sold to farmers and small grain merchants. The PICS technology prevents damage to corn, beans, etc. from insects, fungus, mold and rodents without the use of chemicals. https://picsnetwork.org The bags are economical and easy to use, as well as being reusable. Farmers can then safely store their grain and beans for sale when prices are higher than at harvest time. Entrepreneurial farmers can buy grain and beans from others and then resell it later, hopefully at a profit. Michael and Wisly Jasmin, our project director, made several presentations to the farmers in late July. Then they organized a pilot program with several groups of farmers. The initial results are very promising. One group bought five PICS bags, paying $4 per bag. They purchased corn for $18 per bag (about 110 pounds) in early August and stored it in the PICS bags. Two weeks ago, prices had risen to $30 per bag, so they decided to sell. When they opened their PICS bags, all the corn was dry, without insect or fungus/mold infestation. No rodents had invaded the bags either. 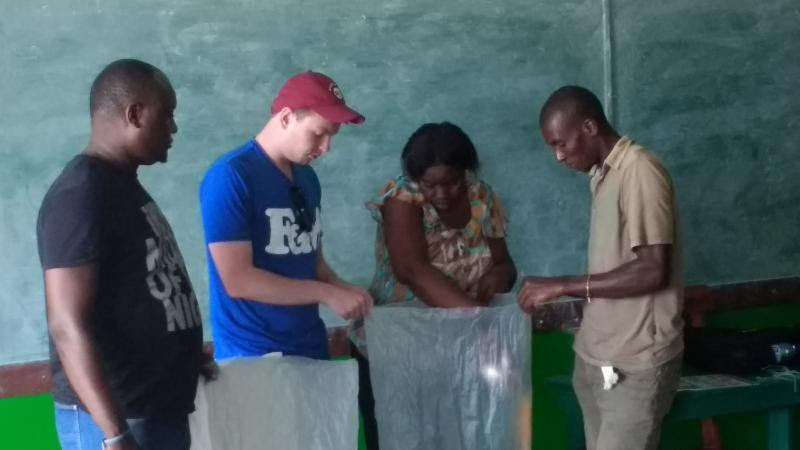 In less than three months, these entrepreneurial farmers made a profit of about $40 on an initial investment of $111 ($90 for the corn and $20 for 5 bags) they can reuse the bags 3 or 4 more times with no additional investment. They plan to use the profits to buy more corn in December harvest, and to expand their own plantings in January and February. Understandably, the farmers are VERY HAPPY. “When can we buys more of these bags?” they asked. We have ordered 1000 more PICS bags for sale our 230 farmer when the bags will arrive from Tanzania. We hope to find a donor to underwrite the $4000 cost of the PICS bags and transportation. Since the bags will be sold to the farmers, the revenues will provide the funds for purchasing additional bags.